With more than 300 million monthly active users, the vision for Google+ is to make it a destination for meaningful conversations online. Over the past couple months, Google has made lots of changes, which has resulted in lots of speculation about the future of Google+. The popular opinion is that Google+ is a ghost town and that the recent changes will lead to the shuttering of the three-year-old network. However, this idea is all speculation, and couldn’t be further from the truth. The biggest problem is the narrow perception of Google+. Most people look at the network in the same context that they do Twitter and Facebook. 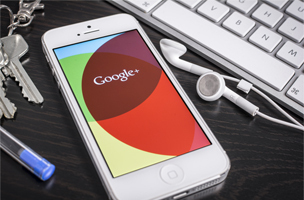 What they don’t realize is that Google+ is the platform that makes Google products social. When you comment on a YouTube video, it’s a G+ thread. If you write a review of a business on Google Maps, it becomes part of that company’s online reputation and is incorporated into Google+. With such deep integration, it’s hard to see why Google would shutter such an important part of its social infrastructure. While Google+ is much more than a social destination, there are still more than 300 million active monthly users on the site. According to Bradley Horowitz, VP of product management for Google+, the vision is to make the platform a place for meaningful conversations online — among family and friends, as well as people with shared interests. What really sets G+ apart from other networks, he tells SocialTimes, is the thriving Communities. “There you’ll see lots of passion and participation, and that tells us we’re hopefully doing something right,” he says. As far as the recent changes, including not making G+ accounts mandatory for new Gmail users, Horowitz says the goal of these changes is to clarify the purpose of Google+. “Having a Google+ profile is how you share public content on Google — from a restaurant review, to a YouTube video or comment, to an app rating, to a post on Google+,” he says. Ultimately, the vision for Google+ seems to follow the long held Google tenet of functionality. In addition to being the social underpinning of the Google family of products, it is also an important part of the search experience. However, Horowitz says that as a sharing tool, Google+ helps bring a more consistent social experience to the apps people use every day.